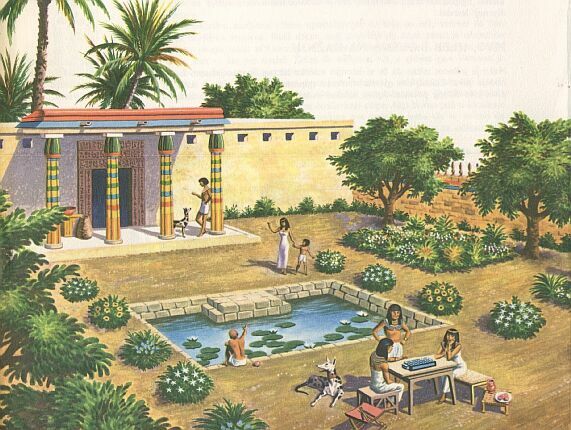 The Old Egypt was mostly the agricultural country, so the most of the Old Egyptians were paesants, which were cultivating the ground. 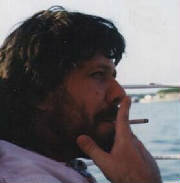 In the towns and citys, the rhytm of life was more like nowdays, than most of us could imagine. The ordinary old egyptian was working, merchandising, going to the bank, or so. The life was comfort only for a nobility. Industry of the Old Egypt were very high developed. 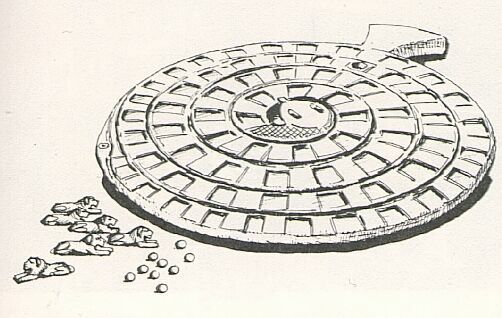 They were capable for making various useful things for everyday using and more. Textil for clothes which they could manufactured was more thin than a silk. By night, the Egyptian was using a kind of a waterclock, with a twelve marking lines. By daylight he was using the sunclock. The Egyptians were one of the most clean nations of that time. As rich as poor people, had a bathing every morning and every evening as obliged. In a free time, those who were in a capability for a such, they really knew how to enjoy. 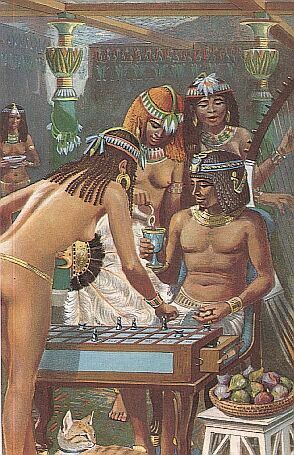 On the picture bellow, left, there is a pharaoh playing the `Zenet`, with one of his wifes. 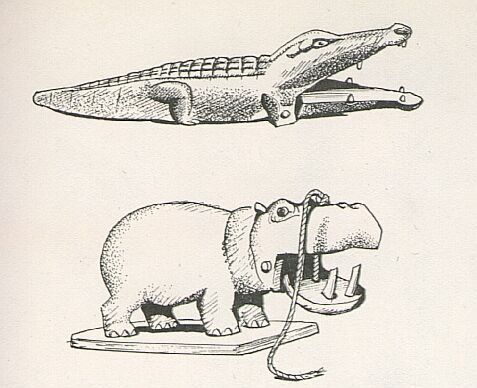 On the pictures bellow, right, there are some drawings of the toys with a mobile parts, finded during some excavations of the Old Egypt, and a board for some typical board game, even for nowdays.